Controversies around the continued use of Native American mascots for high schools and professional sports teams have reached a fever pitch in recent years, most notably with the U.S. Patent and Trademark Office’s 2014 cancellation of six trademarks held by Washington’s NFL team. The team is still trying to reverse the government agency’s decision and a ruling is expected in 2016. Meanwhile, Native American advocacy groups such as the National Congress of American Indians have launched large-scale campaigns to eliminate harmful media portrayals and garner public support for changes. One example of those campaigns is Proud to Be: The Campaign to End Harmful Indian Mascots. While these movements typically cite history to support their cause, they also are bolstered by a body of research on the negative psychological effects of such portrayals on indigenous people. For instance, a 2014 report by the Center for American Progress suggests that using Native American mascots and team names results in poorer self-esteem and mental health for Native youth and also contributes to the development of cultural biases and prejudices. The American Psychological Association, citing a number of academic studies on the issue, adopted a resolution in 2014 recommending the immediate retirement of Native American mascots, images, symbols and personalities by schools, colleges, athletic teams and other organizations. To get a better understanding of the impact of media representations, four scholars from four U.S. universities collaborated on a 2015 study that was published in the Journal of Social Issues. The authors are Peter A. Leavitt of the University of Arizona, Rebecca Covarrubias of the University of Delaware, Yvonne A. Perez of Syracuse University and Stephanie A. Fryberg of the University of Washington. Their study, titled “‘Frozen in Time’: The Impact of Native American Media Representations on Identity and Self-Understanding,” looks at how mass media influences the way Native Americans see themselves and how others see and understand them. The authors examine the quality and quantity of how Native people are represented in the media, which includes news coverage, TV shows, films and video games. Native Americans experience “relative invisibility” in the media. When they are included, they generally are portrayed as historical figures – individuals from the 18th and 19th centuries who wear buckskin, ride horses or live in teepees. When they are shown as modern people, they often are associated with addiction, poverty and a lack of formal education. When Native Americans are included in media depictions, they are usually shown as a particular type of Native American – for example, as Sioux, Navajo or Apache. This narrow representation does not reflect the wide diversity among the hundreds of tribal cultures that exist within the borders of the United States. Native Americans make up a very small percentage of the U.S. population but are much underrepresented in the media. American Indians and Alaska Natives made up about 2 percent of the total population in 2013, according to the U.S. Census Bureau. The percentage of characters in popular films and primetime TV shows who are Native American ranges from zero to 0.4 percent, according to content analyses. Less than 1 percent of children’s cartoon characters are Native Americans, who make up 0.09 percent of video game characters. The lack of accurate representation is heightened by the fact that the average U.S. resident experiences nearly no direct, daily interaction with Native Americans. Only 14 states have American Indian populations that exceed 100,000 people. Nearly one-fourth of Native people live on reservations. Inaccurate and negative media depictions have psychological consequences. For example, exposure to common media portrayals has been shown to have a harmful impact on Native American high school students’ feelings about themselves, their community and their academic possibilities. The authors note that the ideas presented in their study have widespread implications for public policy. As one example, the authors suggest that policy makers support making schools “free from limiting and negative representations that influence the future potential of Native American students.” Another way to change how Native people are portrayed is by creating policies that require media outlets to consider how and when they represent minority groups. Related research: A 2015 study published in the Journal of Social Issues, “Documenting Portrayals of Race/Ethnicity on Primetime Television Over a 20-Year Span and Their Association with National-Level Racial/Ethnic Attitudes,” includes a content analysis of the 345 most-watched television shows from 1987 to 2009. A 2013 analysis from the Pew Research Center looks at which media outlets and journalists oppose using the name of Washington’s NFL team. 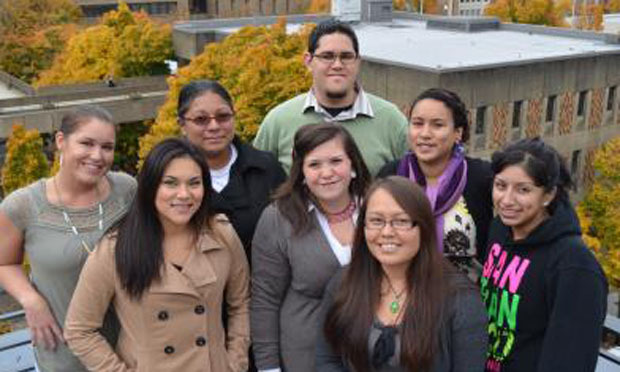 A 2014 collection of research explores public health problems among Native American communities. Citation: Leavitt, Peter A.; Covarrubias, Rebecca; Perez, Yvonne A.; Fryberg, Stephanie A. "'Frozen in Time': The Impact of Native American Media Representations on Identity and Self-Understanding," Journal of Social Issues, 2015, Vol. 71. doi: 10.1111/josi.12095.